This week has been about influencers, how to become one and how to work with one. We had a visit to marketing agency TBWA, and two lectures from Ilkka Kurkela and Riikka from communication agency Drum. All of them told us something about influencer marketing. The “normal” marketing, the outbound marketing is still popular but in the growing amounts, it is getting ignored more and more. This week it made very clear to us that the old ways are not the way to go in 2017. People don’t trust advertising that is done the old way as much as use to do. Quality over quantity is how you market and target people these days. I was looking forward to the TBWA visit since it only 10 min walk away from my place instead of the normal 45 mins that I use to travel in school days. I really love Helsinki city center and even more the south Helsinki where I live so it very refreshing and definitely more inspiring to have a school day in Helsinki instead of dark and stale class room. So What does marketing agency do these days? Definitely, no tv adds, they said. Two of the TBWA’s company employees gave us an hour presentation about the work they do and what is currently the state of the marketing industry. TBWA is the most internationally awarded marketing agency in Finland and they have over 100 employees. They do marketing in an example for Nissan, VR, Tieto, Fortum and Neste, which the last they had prepared a show case for us. With this campaign Neste hit the global markets and they did it by content creating and trying to go viral. They set standards for greener and better future of any kind from fuels to education and produce lots of interesting content about it. They write a blog and produce videos about different subjects. By doing this marketing, which is recognizably inbound marketing, they make their way into the people’s knowledge. Filled with beautiful video and photography about nature with the effective voice from Prince Ea, they have created successful and impressive pieces. In my opinion, this is inbound marketing in its fullest potential. What TBWA taught us was that marketing in TV and other sorts of places like that is old fashioned, and will not carry you very far anymore. It is not about advertising, everything is about services these days. The worlds biggest market place owns no product, biggest taxi company owns no car and biggest accommodation company owns no apartments. Also, marketing has changed. People don’t view the adds the same way they use to, or even as long that they use to. This is partially the information overloads fault. 20 years ago, the internet was not a big thing yet and people only saw advertising in magazines, TV or printed out in the street view. All of those still exists, but people shut their eyes from them. Or how many tv adds can you remember that you have seen this past week? Versus how many blogposts or pictures posted by influencers do you remember? And the most important, not to only remember but which did bring more value to you? In inbound marketing, it is important to create quality content that is still relevant and current. I spoke about inbound marketing last week. Another interesting project they had done was for Helsinki’s police force, and for completely free. The purpose of the campaign was to lower the threshold to report and intervene with domestic violence. They did this just before Christmas hoping it would have a decreasing effect on increasing domestic violence around that time. On Thursday we continued on the same subject and had Riikka from communication company called Drum to come to speak to us about influencer marketing. I found this lecture very interesting but was a tiny bit disappointed in her examples of influencers these days. She used examples like lifestyle or interior design bloggers, aged about 35+. Which for me, was funny, since most of your glass room is between ages 20-25. 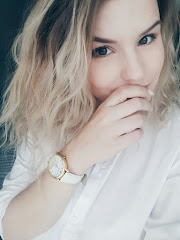 She did realize this herself when she asked us to raise your hand if we were a certain age, but made still no examples of more influencer people like Youtube celebrities or Instagram famous people in Finland, that tend to get the attention of the young and young-minded. Your young might be now the 20% of the population, but they are 100% of your future and if influencers are the way to market to them, you can presume a huge growth in this business. Right now is the best time to do influencer marketing, since is is popular among the audience, but not too many marketers proceed to do it yet. Influencer marketing is a good option, for example, new brands and products. When an influencer posts a sponsored photo for example in Instagram, it goes straight to the X amount of followers they have. If you pay for add in Instagram, yes, it might as well reach same amount of people, but not most of those people are nearly as interested in the add than they would be in the sponsored post. Same as above, the target group is easier to select when using influencer marketing. As Riikka stated, not every who reads interior magazine is going to even thing buying your product, but the amount is significantly higher when influencer makes an add or sponsored post in their interior blog. Having and updating a social media account can be very time consuming for a brand, so by influencer marketing you are using the platform for marketing without actually doing the work by yourself. And for starting brands and their social media accounts influencer marketing in the same platform is very effective way to gain followers in the first place. Forbes article about influencer marketing that I found very interesting. On the same day, we had also a lecture from former teacher and creator of the current course, Ilkka Kurkela. His lecture didn’t really bring anything new to my knowledge but it was pleasant to listen to. He spoke about growth hacking, and I do know what that means, just don’t expect me to answer to that after 4 hours sleep the night before (which ended up me to have a migraine later that day), and had to say that I was not the sharpest on that hour. I fight to urge to fall asleep in the lectures because I tend to speak when I sleep. I was really disappointed when I heard that Ilkka is no longer teaching this course, because I had heard so good thing about him. He did briefly go over some social media tools, which I would have hoped we would have had more lectures about. So far we have had personal branding -, video- or inspirational lectures. I can think so many other things that would be beneficial for this course like how to build a good LinkedIn page, social media for companies, marketing in social media, and how about a lecture about what makes a good website (not just grates) and a wild idea that I had, why we are not required to comment on each others posts? A short introduction to feedback giving could be also useful before that but I do read other peoples blogs, and I am sure than others do mine. So let’s say, that If you leave a comment on my blog, I will leave comment on yours. We do get feedback from the coaches, but that is only one opinion. I think leaving and reading comments could actually improve this blogging experience greatly. And it would make us better at giving feedback and that is skill to have in the workplace that they don't teach in schools, right?